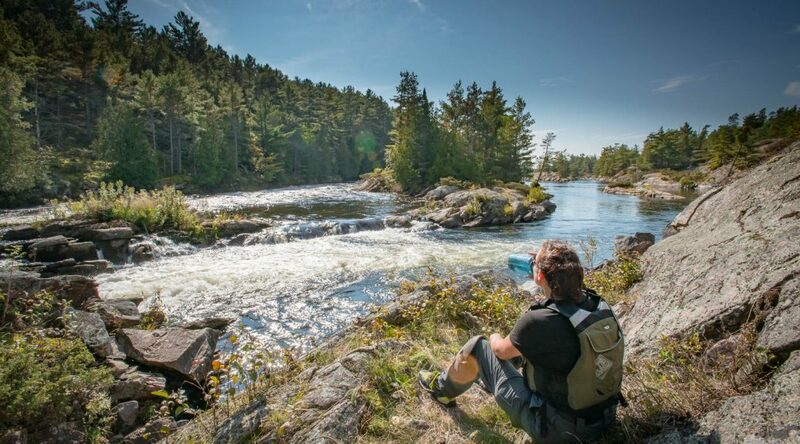 The Eighteen Mile Island Loop on the French River takes advantage of the complex nature of the French River waterways, combined with the ability to traverse this type of river both downstream and upstream, creating the opportunity for a varied, circular 70km (44 mile) route, taking in some fine, fast moving white water and pleasant conifer-lined flat water, through archetypal canoe country, along a Canadian Heritage River of unique historic importance. We took four days to make a canoe-camping journey from Wolseley Bay down to Dry Pine Bay and back again. Here I share photos, video, a written account of the trip and campfire notes.